April was a busy month! Crimson Hexagon and Brandwatch joined Sprinklr, Sprout Social and Conversocial as Twitter channel partners. Crimson Hexagon also announced that it had analysed its one trillionth post, while Zignal Labs tackled how trust plays a role in the spread of news. Meanwhile, the AMEC Global Summit is about to land in Bangkok, and you really won’t want to miss Marion McDonald’s top traveller tips for the Thai capital. Back in January, I wrote about how the success of fake news in 2016 really proved the effectiveness of content marketing. Now, Zignal Labs have announced the results of a survey on current media trends, with a special focus on how news spreads, the influence of social media platforms, and the consumption habits of millennials and other generations. The survey questioned over 2,000 U.S. adults ages 18 and older, so results are limited to the American consumer but it is well worth the read. This year the AMEC Summit is heading to Bangkok on 17 & 18 May, and it’s looking to be fantastic. The Summit has been endorsed by fifteen communication trade bodies, has attendees from 37 nationalities already registered and an exciting programme of speakers. The winners of the AMEC International Communication Effectiveness Awards will also be announced, and you can find the shortlist here. If you’ve not yet done so, it’s not too late to register. 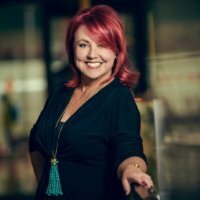 Marion McDonald, Chief Strategic Officer APAC at Ogilvy PR, is a brilliant measurement practitioner. Marion’s workshop on measurement vanity is sure to be a highlight of the AMEC Summit, so do whatever you can to catch it. Marion is also a former resident of Bangkok and has kindly shared her favourite spots to eat, drink and see in Thailand’s capital. Now’s the time to start planning your time away from the AMEC Summit in Bangkok, and you need go no further than Marion’s recommendations. Anyone who has worked in social media measurement knows just how important access to Twitter content and data can be. Twitter has been expanding its range of data products lately, and has now added Brandwatch and Crimson Hexagon as channel partners. The companies join Sprinklr, Sprout Social and Conversocial, to gain early access to Twitter data and product development. Read more. Fresh on the back of its partnership with Twitter, Crimson Hexagon announced that it was about to analyse its one trillionth post. You can see what pressing questions they have answered over on their site. But in a wide-ranging interview, Crimson Hexagon’s CEO Stephanie Newby, provides some examples of how the firm is using its vast dataset to measure business outcomes. Data is just a bunch of numbers, and a dashboard is just numbers trying to look good. In PR, “human insight into the dashboard’s data is what will get you that ‘bottle of champagne, a promotion, a raise and added vacation’.” Katie Paine, CEO, Paine Publishing, and Johna Burke, EVP, BurrellesLuce outlined the five steps to the perfect PR measurement dashboard at this month’s PR News Measurement Conference. Cision is adding two new members to its leadership team. Nasdaq’s former VP of Corporate Solutions, Michael Piispanen, has joined as COO. His primary tasks will include integrating the companies rolled up by private equity firm GTCR since it acquired a majority share of Cision, as well as standardizing best practices across the portfolio. While Pat Galvin is taking on the role of Chief Revenue Officer for the US, which follows the departure of Chief Commercial Officer Paul Salay in March. Read more.